Love the amenities and free food friday is the absolute best! 48 always tries to make sure their residents are included in activities and have a chance to win free things! 48 west is in a great location. It is a safe area, easy to get to, close to campus. There are places to eat and a nice clean pool for relaxing. Residents are nice as well. I love the town homes and the atmosphere of this unique apartment complex. The restaurant, gym, vape shop, and pool/hot tub are such a great bonus and the monthly price still isn’t outrageous to make up for those! I love this place!! Perfect apartment complex to call home. 48 is so giving, kind, understanding and always is there to help in anyway possible. 48 west is the best off-campus living option for GVSU students. 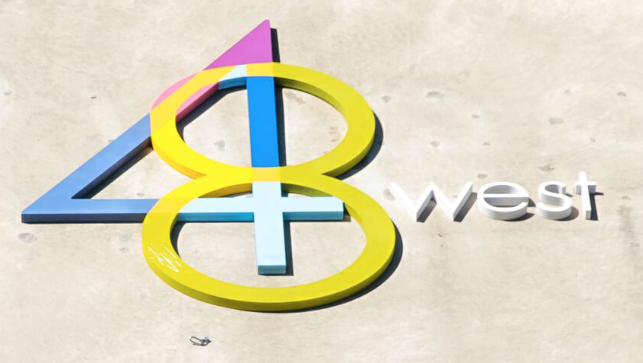 No other complex offers the amenities and luxury that 48 west does. All rooms are spacious and nice! Plus there is a pool, hot tub, gaming room, gym, restaurants, etc. Whats not to love? my experience at 48 west has been good, and without problems. there pool and work out facility are amazing and one of the reasons I am living here. I love the space of the kitchen and the living room area! I also really appreciate the free food Friday’s! The gym is nice and very convenient. The game room area is cool too. My time at 48 is coming to an end but i loved living here the past 2 years!! Great apartment with awesome facilities that i used on a daily!! I like it here! I like all of the activities offered and the free food and prizes! Also love the clubhouse with the free coffee! Sometimes they are out of cups but not to often. I havent quite made it into the living part of the area because I just signed a lease, but through touring and hearing from other people I hear it's the best place to be. No other apartment off campus can go up again them on amenities or quality of living. It may be pricey but it's worth every penny. Overall, the Apartment complex is a great size, has good amenities. the gym and pool are my favorite. The best thing about 48 is the bus to campus for free. makes sure i get to class on time everytime. The units have great shelving inside of the townhomes for storing things. The staff is very friendly and helpful. I love living here and the location is close to school too. There are lots of things to do that are all nearby. It is a great environment for me and my dog. Thank you so much for the kind words, we love hearing about our residents positive experiences! All in all 48 west has been a pretty good place to live. I haven't lived in any of the other places around campus so I don't have a solid comparison. Grace, So glad you are having a great experience at our community, thank you so much for the kind words! Autumn, So glad you are having a great experience at our community, thank you so much for the kind words!